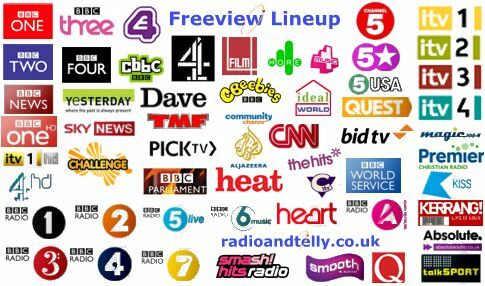 Coverage – To receive Freeview, you must be in range of a Freeview transmitter. To check this, enter your postcode at Digital UK’s checker or the Freeview site. Box – If you are in a coverage area, you’ll need to get a free-to-air set-top box. Boxes cost from around £25 and can be bought from high-street stores such as Currys. Shopping online for a set-top box is often the best route, as there are some good bargains to be had. Connect – Plug your new Freeview set-top box to your existing TV aerial. Connect another lead to a spare SCART socket on your TV, and you should be ready to go. (Freeview box connection help). Note that in some cases, your TV aerial may not be suitable and may need upgrading. Remember, there’s no subscription costs, or rental agreements, so the one-off cost is all you’ll pay for the extra channels. Price: Boxes cost upwards of £25 – no subscription, installation or ongoing costs. recorder. If connecting to a TV or video that doesn’t have a SCART socket, you need to look for a box that has a modulated output (that can transmit TV on a special channel that you can tune your TV/VHS into). Old ITV Digital / onDigital receivers – If you own an old ITV Digital / onDigital set-top box, you’ll be glad to know that you can pick up Freeview on this box without having to pay a subscription. 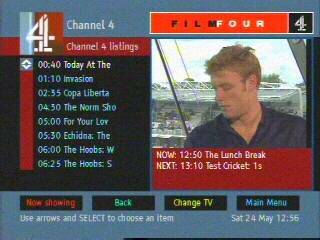 The software on the box may now be out-of-date, and still branded as the old name, but the box should allow you to watch the new channels without having to buy a new box.